Willie Mullins’s six-year-old, formerly an ante-post favourite for the Supreme Novices’ Hurdle, never made it to the Cheltenham Festival after failing by two and three-quarter lengths to justify short odds on his stable debut at Limerick just after Christmas. But Annamix made no mistake at his second attempt for the champion trainer, winning by a length and a half in the Goatenbridge Maiden Hurdle. Rachael Blackmore, Townend’s closest challenger in this season’s title race, had Raya Time in front in a first-time hood. Henry de Bromhead’s novice pulled hard, though, and made a mistake in the back straight. Annamix, wearing a tongue strap for the first time, jumped into a narrow lead at the second-last and stayed on to win in the famous colours of Susannah Ricci despite an awkward error at the final flight. “It is a wonderful performance by Paul and I hope he will add a few more before the end of the season,” said Mullins. Townend struck again as Acapella Bourgeois produced a fine front-running performance to leave stablemate Yorkhill (11/8f) trailing by eight lengths in the Suir Valley Chase, with Polidam completing a clean sweep for the Mullins yard, finishing 14 lengths further back in third. Acapella Bourgeois had a length advantage over the second last and, after producing a better jump at the last, surged clear on the run-in to record his first win since joining Mullins. 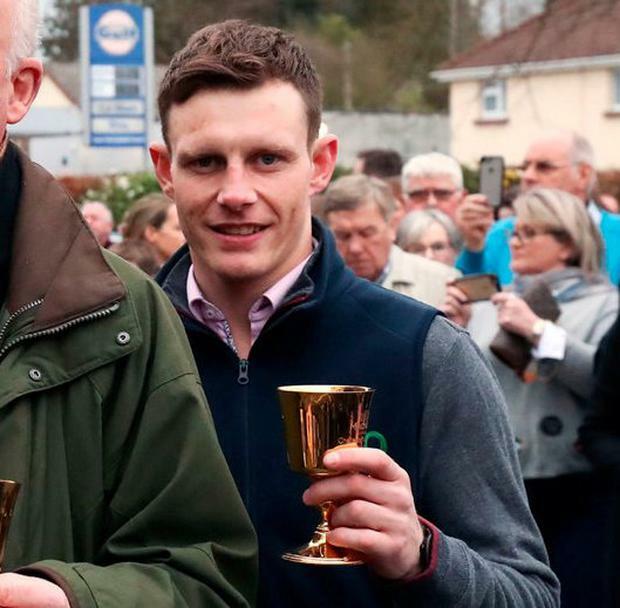 Five days after having his 10-day Cheltenham ban overturned, Declan Lavery steered the Gordon Elliott-trained Conflated (11/1) to victory in the concluding bumper. Marcus Armytage Bangkok, a 33/1 shot for the Derby, can continue the excellent start to the season of King Power Racing and Silvestre de Sousa and put himself in the frame for Epsom by winning the Bet365 Classic Trial at Sandown Park today.